Would you like to receive Hollow World a month early? * NOTE: Physical bonus materials (bookmarks & bookplates) are shipped only in the United States. I will ship internationally for those who pay $1.50 to cover costs. Poster winners will be shipped free of charge to any country. If you did not purchase directly from me, attach your pre-order receipt. If you purchased from my store, all I need is your transaction ID. This pre-order promotion will end March 14th, 2014 and is open to residents of any country. Ebooks will be mailed March 15th, 2014 and if you buy a print book from me, it will be sent out as soon as I receive copies. I'm really excited about Hollow World's release and am thrilled to get copies out to people a full month ahead of schedule. I hope you will enjoy the read! I'm a few days late on this but Unfettered (an anthology short story from myself, Patrick Rothfuss, Terry Brooks, Brandon Sanderson, and a whole lot more is now released in the United Kingdom. For those that might not know, this was originally put together to help Shawn Speakman pay off a huge medical debut -which he now has!! The UK publisher who picked up this work (published in the US by Shawn Speakman's Grim Oak Press) is none other than Orbit. You can read more here. And...if you want to win a free copy of the audio version of this book - I still have a contest going on for a few more days - ends February 28. 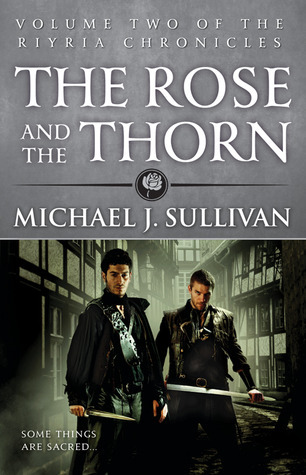 This UK edition even has a bonus story written by Shawn and to sweeten things even a bit more, Orbit has put it out at a special introductory price. Stop me if you’ve heard this one. A thief, a candle maker, an ex-mercenary, and a pig farmer walk into a trap…and what happens to them is no joke. When Riyria is hired to retrieve a jester’s treasure, Royce and Hadrian must match wits with a dwarf who proves to be anything but a fool. Difficult choices will need to be made, and in the end those who laugh last do so because they are the only ones to survive. 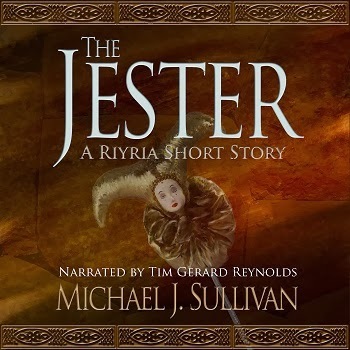 If that sounds interesting, you can listen to the audio version of The Jester for free. 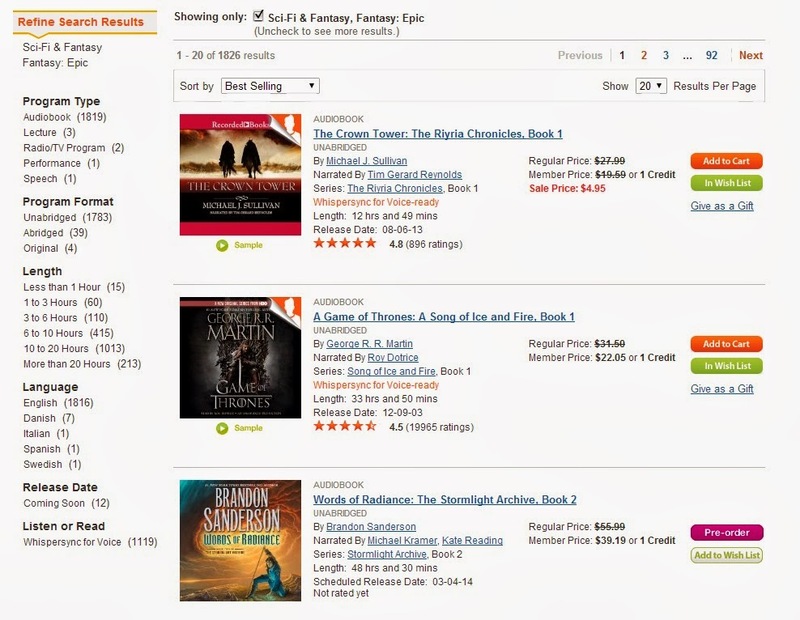 It's narrated by the incomparable Tim Gerard Reynolds who has narrated all 8 of the Riyria books. Here are some links for easy access: US | UK. I'm very excited and pleased to announce that just like the print edition, anyone who pre-orders the audio book will receive the ebook version (in whatever formats you desire) for FREE! This is one of the reasons I retained the ebook rights to this title. 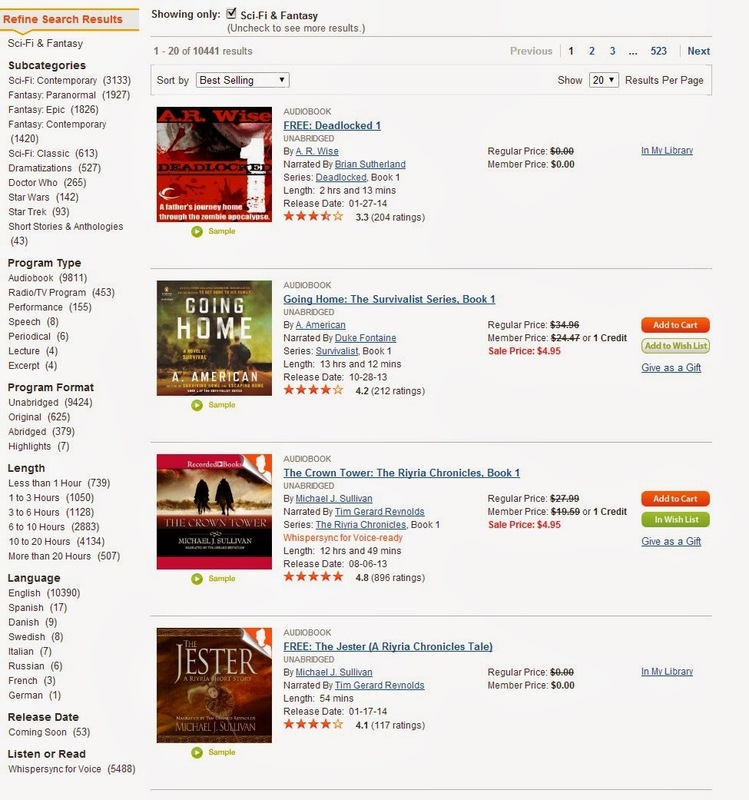 I feel strongly that if you have purchased a royalty producing version such as the print or audio book, then you already compensated me and I don't want you to have to pay twice to get the book on your ereader. But the thing that is even cooler...at least to me. Is if you pre-order then you get that free audio book a month before the official release. Yep, for those that can't wait they can get their ebooks on March 15th rather than April 15th. For those that are REALLY anxious, you can get the extended preview (first four chapters) right now. Some people may be a bit shocked not to find Tim Gerard Reynold's name as narrator. Don't be. This in no way reflects any break or displeasure with Tim who is without doubt "The Voice of Riyria." In fact, we are already talking to Tim about some future projects and we love him and the amazing work he does. The issue is that Hollow World is a very "American" book. It's main characters are from the midwest and while Tim's accent adds a great flavor to the fantasy world of Elan, we wanted someone that reflected the setting of this book. The really cool thing, is when signing this contract we negotiated narrator approval. For Riyria we got REALLY lucky that Tim was assigned to the project, but we weren't sure that such lightning would strike twice. When we finally got the compiled short list one name was at the top: Jonathan Davis...and we were thrilled when he agreed to join the project. 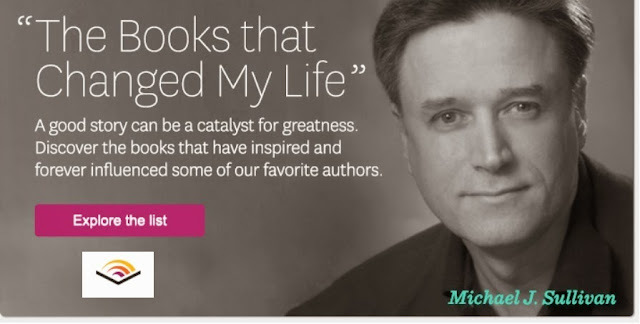 Earned accolades from The New York Times, Publisher's Weekly, American Library Association, Booklist, Audiobook Publishers Association, AudioFile Magazine,and USA Today. 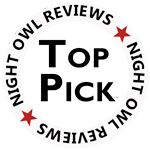 Narrated films and programming for National Geographic Television, National Geographic Channel, VH1, NOVA and PBS. In fact, his recording of The Descendents by Kaui Hart Hemmings (made famous by the movie starring George Clooney) is current the #1 bestselling title on audible.com. A few weeks ago Robin and I went to New York to meet with Jonathan, and we sat in on the first two recording sessions of Hollow World. More on that in the near future. 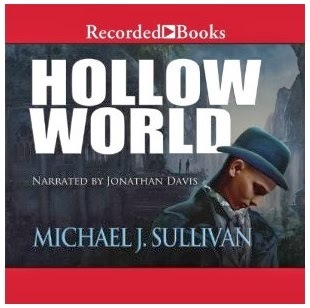 So if you are an audio book enthusiast and interested in Hollow World, go pre-order now then send me a copy of your receipt to michael.sullivan.dc@gmail.com. I'll send you the full ebook on March 15th. I can't wait to hear the full completed version. 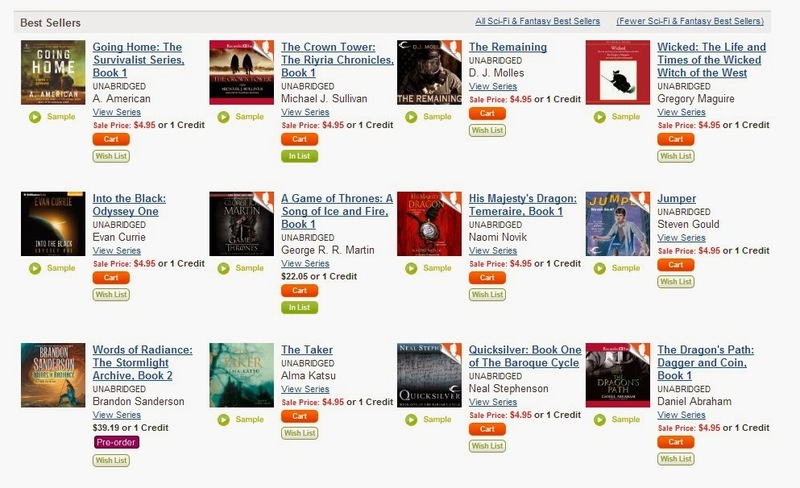 The Audible First in Series Sale continues for about another week. 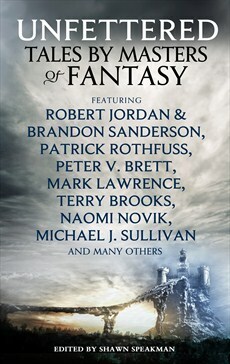 There is a lot to choose from, 206 titles to be exact, including more than 40 in the various fantasy categories. With so much to choose from I was amazed to find The Crown Tower topping the epic fantasy list, so I just wanted to say thanks for everyone who is taking this opportunity to give the prequel a try. When looking at the larger Sci-Fi & Fantasy list of more than 10,000 titles The Crown Tower is #3 followed at #4 by The Jester which for those who don't know is a free Royce and Hadrian story from the Unfettered anthology. So if you know someone who you think might like to spend some time in Elan, ask them to give a listen, it's less than an hour and costs nothing. If they like it, then it might be a good time to catch The Crown Tower while it's still on sale. I woke up today to a nice surprise today. This is due largely in part to it being on sale for $4.95 as part of "First in Series" promotion that is going on until February 19, 2014 @ 11:59PM (EST). I now have copies of Blood of Thieves Hardcover in and ready for order. 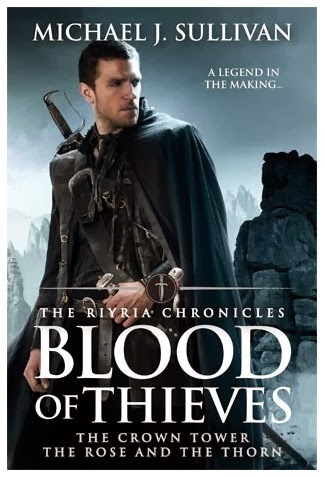 Also just a reminder, I still have a giveaway running for Blood of Thieves and you can enter here. Actually, I have quite a few giveaways running right now. Perhaps tomorrow I'll do a post that collects them all in one spot. Just to name a few. This 36" x 24" (91 x 61 cm) poster was previously available only to those who contributed to the Hollow World Kickstarter campaign, and it is beautiful and suitable for framing. Five lucky winners will be chosen. Three lucky winners will receive a signed and dedicated advanced reader copy of Hollow World, and the best news is they'll receive it a full month before the official April 15th release date. Most of the advanced reading copies are electronic these days so there are only 100 copies of the ARC's to this is your chance to get your hands on something that will be kind of rare. Everyone who enters will receive an extended preview copy of Hollow World so they can get a head start on reading. This contains the first four chapters (60 pages) of the book and will be sent in multiple electronic formats, including a print friendly version for those who prefer to read from paper. If you are a member of goodreads (and live in the US or Canada) there is another contest where you can enter to win. So that's all the details...oh except for the link to enter at. Good luck and early congratulations to the winners. 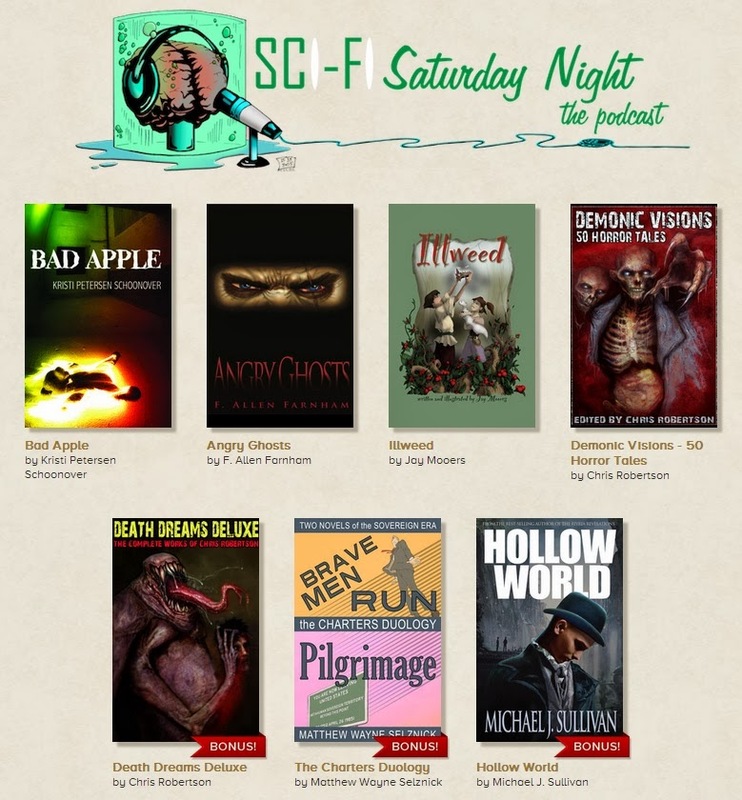 The other day I was asked by the fine folks at Sci-Fi Saturday night if I could provide something for a bundle they are doing to highlight some of their favorite authors. Since it has a very short duration (just 14 days) I agreed, and so Hollow World is being offered as part of StoryBundle's Sci-fi Saturday night group. Since it is still 2 months until Hollow World comes out, this is a chance to get the book early - and hopefully find some other writes that you'll want to read more from. I'm hoping that adding Hollow World to the bundle will help boost the overall sales. Speaking of sales, unlike the other projects I spoke of, where 100% of the money went to others, I will be receiving a bit of income from this. (Basically all the authors divvy up the income that is attributed to "the authors" (amount/3 for donations $9.99 or less and amount/7 for those contributing more than $10). I should note, however, that income wasn't my consideration for being included. In fact, I'll actually make much less per copy than un-bundled copies. As I mentioned, the whole point of being in a collective is to hopefully unite some authors and readers who might not otherwise get together. While I'm happy to lend a hand for this, I don't want to inadvertently hurt Tachyon Publication's sales by having the ebook available for a short window earlier than their print version. So I'm going to make up for it by offering a pretty sweet deal on print. Tachyon Publications will get their "full cut." Since the book will come from me, it can be signed and dedicated if you wish. I can't tell you the "exact" cost of the print book at this time as I have to wait until I get copies so I can calculate shipping costs...but as there is no profit going to me or a retailer it should be a deal that no one else can beat. Once I have the books with me and know the shipping costs, we'll make payment arrangements, and I'll send them out. I'll be offering Paypal, Amazon Payments, Credit Cards, and echecks. So there you go. For the next 13 1/2 days Hollow World is available early in a bundle with a bunch of other great books. I hope you take advantage of this amazing offer, and most importantly that you'll discover some new authors to enjoy!